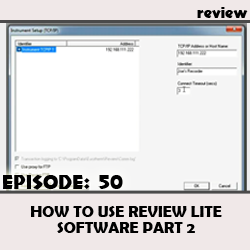 This is part II of the 2 part Review Lite tutorial videos and simply picks up from where we last left off. This video goes over features like Automatic Printing, Auto Archiving, Chart & Replay, Running as a service, Spreadsheet view, and Security Manager support. This is part I of the Review lite instructional video. 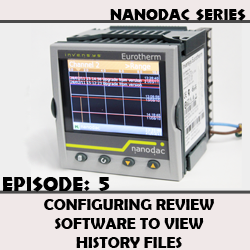 This video shows you how to set up your Invensys Eurotherm data recorder / chart recorder for use with the review software. 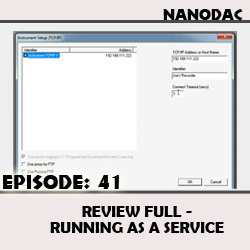 The FULL version of Review allows you to setup the software as a service on your PC which adds the benefit of automatically archiving the data at your pre-defined intervals. 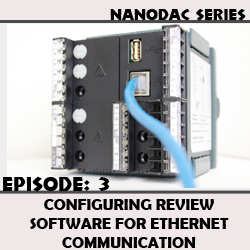 Joe Clarke discusses the method of setting this function in the Review software for our 6000 Chart Recorders and Nanodac Recorder and Controller. 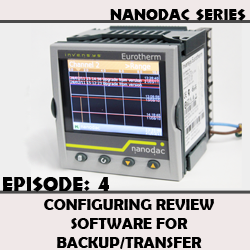 How to configure the Review Software to Backup / Transfer the History Files from the eurotherm nanodac via Ethernet communications.